'I should have been able to leave to go to the ER and not worry about losing my job,' one employee (not pictured) said. Based on conversations with Walmart employees and results of a survey of more than 1,000 current and former Walmart employees, worker advocacy group A Better Balance issued a report Thursday claiming the retailer has punished its workers for taking sick days and time off to care for loved ones and violated a number of worker-protection laws including the Family Medical Leave Act (FMLA). "Walmart should fully comply with the law so that no one is illegally punished for a disability-related absence or for taking care of themselves or a loved one with a serious medical condition," Dina Bakst, founder and president of A Better Balance, the advocacy group that prepared the report, told The New York Times. Among the complaints A Better Balance received, employees have said they're afraid to call out sick, they've been penalized and even fired after taking sick time and they face financial ruin as a result. "Like any company, we have an attendance policy that helps ensure our customers are being taken care of and that our associates are protected from regularly having to cover other's work duties. This policy requires that all of our hourly store associates be on time and work their scheduled shifts and manages against excessive absences. "We understand associates may have to miss work on occasion and we have processes in place to assist them. This includes legally protected and authorized absences, such as medical-related accommodation, FMLA leave, pregnancy and bereavement, that are not counted against our attendance policy. Associates may request a leave of absence or other reasonable accommodation at any time by talking with any salaried member of management or an HR representative. Each associate's circumstance is addressed individually, in compliance with company policy and the law. "We have countless Walmart associates who successfully partnered with the company to authorize their absences from work. We believe we have the right training measures in place to help communicate our attendance, disability and pregnancy policies to our associates." "I've called in sick I think three times last winter, but each time I've been told I've just ‘lost points' (of which I have no idea what that means nor how to tell how many ‘points' I have). Therefore, I think I must be getting close to the ‘limit of points' so I just don't call out sick anymore at all. For all I know, I might have a week of paid sick leave, however no one will show me how to see how many hours I actually have, so I act like I have none left ... It's very easy to use them up too quickly, thus I won't use any more until I have an explanation." According to the report, many employees are only permitted to access Walmart's internal computer system that details employee policies, the Wire, while they are on the clock (sometimes with a manager hovering nearby), and they are told that their use of the Wire is logged by Walmart. "My daughter was having seizures, I had to take time off to monitor her. They counted it against me. I passed out at work. They sent me to the hospital. The next day, they fired me for it. Walmart is a joke. People have lives outside of work, we get sick, we have children, things happen and Walmart literally covers NOTHING." 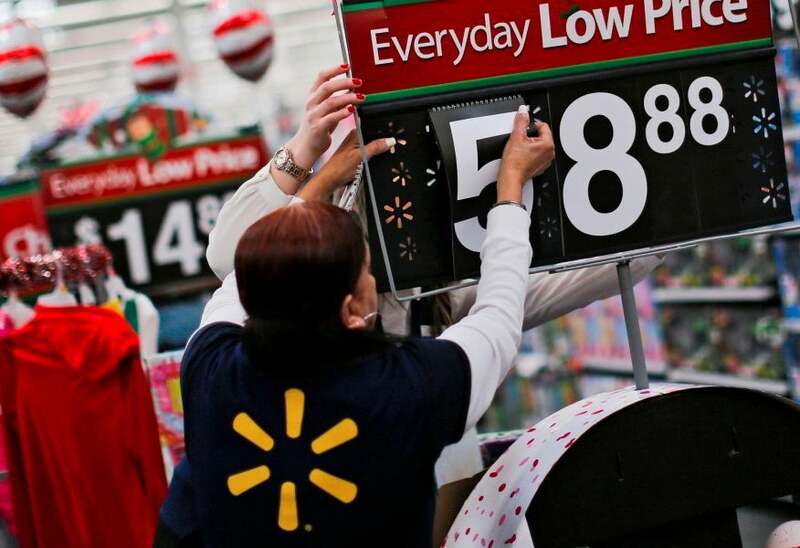 The report says that Walmart uses a point system to discipline workers, and too many points results in firing. 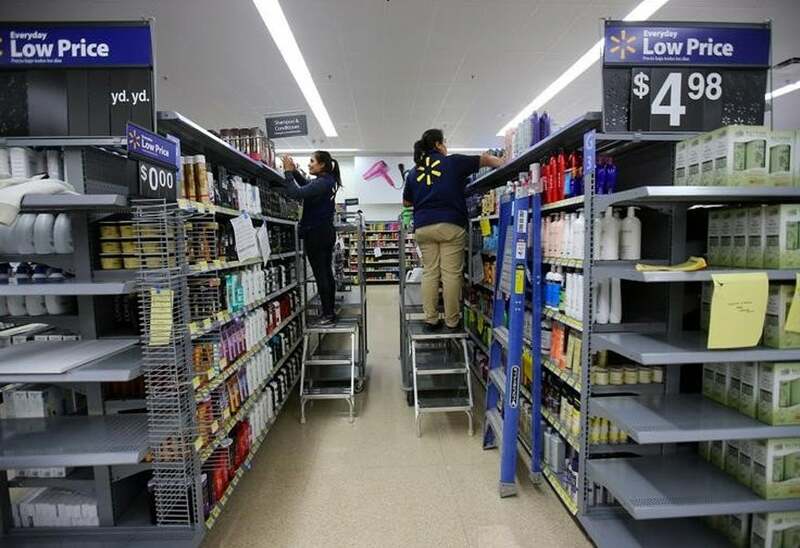 Walmart reportedly gives workers disciplinary points for any absence they consider unauthorized, and working less than half of a scheduled shift is considered an absence. "I got into a car wreck on my way to work and was sent by ambulance to the hospital. I had two fractured ribs and a concussion. I reached a manager from the hospital, who said it would be ok, and I came into work the next day with wrapped ribs and a concussion. The front manager then said that they wouldn't accept the doctor's note from the hospital, and they fired me for missing that day." If an employee does not call in to report an absences at least an hour in advance, they receive four points, the report says. "My appendix ruptured while at work and because I already had eight points, I could not leave work to go to the ER without pointing out and losing my job. I should have been able to leave to go to the ER and not worry about losing my job. I had even said to management, 'So if I fall out because of my appendix and have to go out in an ambulance… I will get a point and lose my job?' The response from management was, 'Yes.'" According to the report, if you have worked at Walmart for less than six months and receive four points, you will be terminated, and if you have worked at Walmart for six months or more and receive nine points in a six-month rolling period, you will be terminated. "As a mother and a person, we get sick every once in a while. It's something we have no control over! We still get punished with a point regardless of whether we have a doctor's note, and they expect us to not work around food and customers sick! My son had pneumonia, his life was on the line, and I still couldn't be excused from work. Just pitiful! 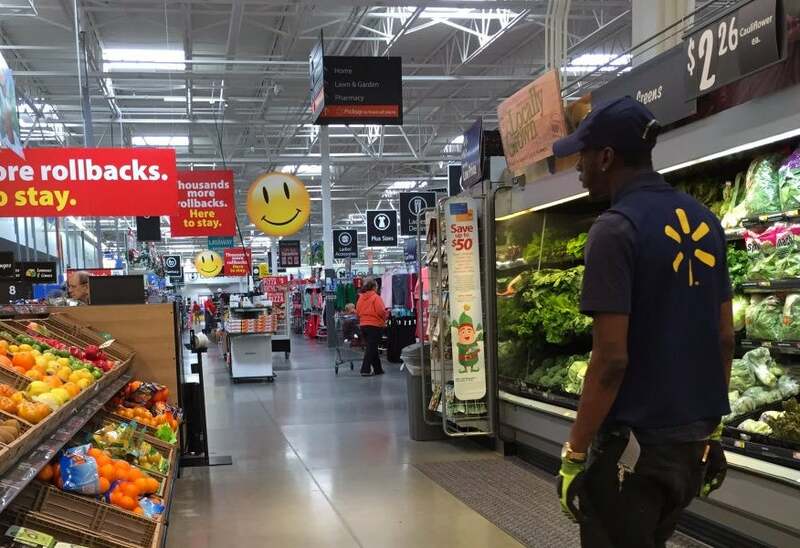 Several hundred of the surveyed Walmart workers said they think Walmart has a problem of regularly punishing people who have absences due to a disability or serious illness and believe there is no such thing as an excused absence. "I was vomiting blood and had to go to the ER. I was there for two days and each day was a point. I then had two days off, and I brought my hospital notes in when I went back. They would not accept them." According to the report, workers say that managers do not consider and often refuse to take doctors' notes from employees. The report also says Walmart's policy and practice is to not consider the content of the note in deciding whether to treat the absences as unauthorized. "I asked for two weeks off to receive mental health treatment. Sedgwick finally got back to me within the last 48 hours of my requested leave, which I hadn't taken because it wasn't approved. Thanks, Sedgwick." According to the report, Walmart sometimes tells employees with absences of more than three days to contact a company called Sedgwick for a leave of absence. Employees in the report say Sedgwick is slow, unresponsive and confusing to deal with. "My eight-month-old daughter got pneumonia in January 2017. I am a single mom and no one could watch her, so I had to take a week off work while she was recovering. I took in a note from the hospital and my manager said they would take me off the schedule, but they never did and I got points for being out. "Then in February, my daughter had an allergic reaction and I had to rush her to the hospital and miss work. Because of this, I lost my job. I loved my job and I lost it and lost my place because I couldn't find work soon enough. I am now homeless. I wish Walmart didn't have such a horrible attendance policy. I always showed up on time and was one of their good employees." The report says Walmart's attendance policy requires that an employee notify management three weeks in advance of an absence, that management approve that absence, and that management choose to build the requested absence into the schedule. "My son was hospitalized for pneumonia. It was so bad that he stopped breathing in the ER and they needed to put him on oxygen. I got points even after telling management why I was out. They give points no matter what." Of the employees surveyed who said they have been absent from work for a medical emergency, 78 percent said they were also punished for an absence.